Just bring on the socialism and tax us all 70% already. Get it over with. It will be a shock, but the people will get used to it soon enough. Stop it. No one is proposing a 70% tax rate. I’m pretty sure that Miranda Veracruz de la Hoya Cardinal newbie in Congress is for it. "Hey Halo Man! 70 percent! Cough it up!" What she has proposed is a 70% marginal tax rate that triggers at 10 million dollars. Come on man. This is what they fuc*king do. They lie about everything. Where’d you pick this up ? Breitbart ? The Daily Wire ? Is Rico ever right about anything? Oh and that name is instantly turned into cockblocker before the primaries are half over. I'm going to blame my phone on this one like Adam does. Adam uses his phone for posting scrotum pics. Don't emulate him. he is? well then . . . Please explain what an environmental hack is ? maybe the Black Hebrew Israelites can explain. Come on man. I don’t support the wall. I accept that it’s an issue that Trump got elected on. And I think that if Trump wants the Democrats to work with him on it, he should give them concessions that their voters want. Im not opposed to compromising. Does this make me a hypocrite or something ? I keep seeing people on here and elsewhere talking up Democrats who can appeal to "moderates," or conservatives who don't like Trump, ignoring the fact that the Dems spent 2016 chasing moderates, failed to land them and alienated parts of their base. What do Wisconsin, Ohio, Michigan & Pennsylvania have a lot of? Union workers and college students. Who can appeal to them? Lefties. If Sherrod Brown can win Ohio and Tammy Baldwin, a progressive, pro-single-payer lesbian can win Wisconsin by DOUBLE DIGITS, it's crazy for Democrats to think they need some big tent, half-assed, watered-down candidate who yammers about the need for bipartisanship and common ground and then watches all the moderates they courted fall in line with Trump because they like tax cuts and dislike immigration. Court disillusioned voters, young voters, poor voters...people who are on your side but not necessarily inclined to make the effort to vote. Trump landed JUST enough in the right spots to win. Democrats can easily do the same if they run FOR progressive issues as opposed to AGAINST Trump. So you're saying that if a progressive Democrat gets the nomination, you expect Trump to get 113 million votes? I expect moderates and independents to either vote trump or stay home. I would also expect his base to be even more fired up. 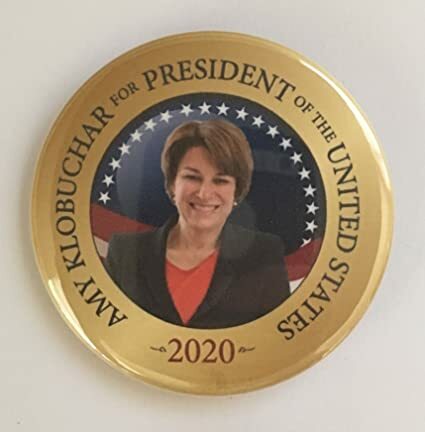 A moderate dem wins 2020 IMO. Trump's approval rating is 15 points underwater and a moderate lost to him in 2016. I don't understand why media figures and even Democrats underestimate how popular progressive policies are when they're presented effectively. "A moderate Dem lost to him." Lol. She might be the worst moderate Dem to ever exist. She's further right than Trump. There are too many HRC partisans in the part who loathe anything Sanders, especially by women, who blame him almost as much as Trump for her loss. It's not rational but a deeply personal emotional response by many. Someone similar to Sanders who doesn't have that baggage could do quite well though. Call her whatever you want but she alienated some middle America voters by ignoring them all together because apparently she thought she could win without them. "Mi abuela" was also pretty damn funny and made her seem even more stuffy and white than she really is. They're all full of crap but she was the embodiment of the lifetime politician who most people can't relate to and watching her try is painfully funny. A moderate/pseudo-Republican in HRC who the right wing machine effectively portrayed as a socialist to their base. While a candidate more left of center will certainly energize the Democratic base and perhaps do the best, let's not discount what the RWM could against someone who actually IS sympathetic to socialism.